Theorists think the data is "clean". Experimentalists aren't convinced by the level of detail. Either way, physicists wait with bated breath for some confirmation that a prized jewel of materials science has been found. On July 23, Anshu Pandey and his doctoral student Dev Kumar Thapa, from the Solid State and Structural Chemistry Department of the Indian Institute of Science (IISc), Bengaluru, posted a paper on the arXiv preprint repository titled ‘Evidence for Superconductivity at Ambient Temperature and Pressure in Nanostructures’. In essence, the authors made the extraordinary claim that they had discovered superconducting behaviour at room temperature and pressure in a nanostructured composite material of silver and gold – formed by embedding silver nanoparticles in a gold matrix. Nanostructured materials are those whose mictrostructures have a characteristic length of a few nanometers, typically 1-10 nm. One nm is a billionth of a metre. Their finding, if independently validated, would be ground-breaking. At the same time, the chatter surrounding their preprint paper has been surprisingly subdued. No blog posts or comments have been published online. Why could this be so? Superconductors are materials that conduct electricity with zero resistance to the flow of electrons, unlike normal metallic conductors that we are familiar with and which offer resistance. It is this resistance that causes electrical appliances to heat up. A conductor can be seen as a system of ‘free’ electrons (except for their mutual repulsion) moving through a fixed lattice of charged atoms. When an electric current is passed, the electrons moving through this lattice are scattered off their path by impurities, dislocations, grain boundaries and also by collisions with the atoms. This zig-zag motion shakes up the atoms as well and manifests as heat. In electric supply lines, for example, up to 6% of the energy is wasted as heat. Since superconducting materials offer no resistance, they can be used to build highly efficient devices and electrical utilities with enormous energy savings. However, despite the discovery of superconductivity in a host of materials – from metals in their elemental form or as compounds to complex chemical compounds and other exotic materials – we do not encounter superconductors in our daily lives because there is a catch. All superconducting materials discovered thus far require them to be cooled down to extreme sub-zero temperatures with liquid helium or liquid nitrogen, making their practical utility for domestic and even most industrial applications difficult. In 1911, Heike Kamerlingh Onnes discovered superconductivity in mercury by cooling it down to a frosty 4.2 K (-268.95º C). Since then, it has been the Holy Grail of material scientists to achieve this transition – from normal to superconducting state – at room temperature (above 273.15 K or 0º C). The hope of finding a room-temperature superconductor (RTS) bloomed after physicists discovered high-temperature superconductivity (HTS) in the 1980s and 1990s in a class of ceramic materials called cuprates. They are characterised by the presence of interleaving copper-oxide layers. Their transition temperature – a.k.a. critical temperature (Tc) – was significantly higher than those of conventional metallic superconductors discovered decades earlier. Conventional metallic superconductors usually have a Tc below 20 K, which is the boiling point of liquid hydrogen. 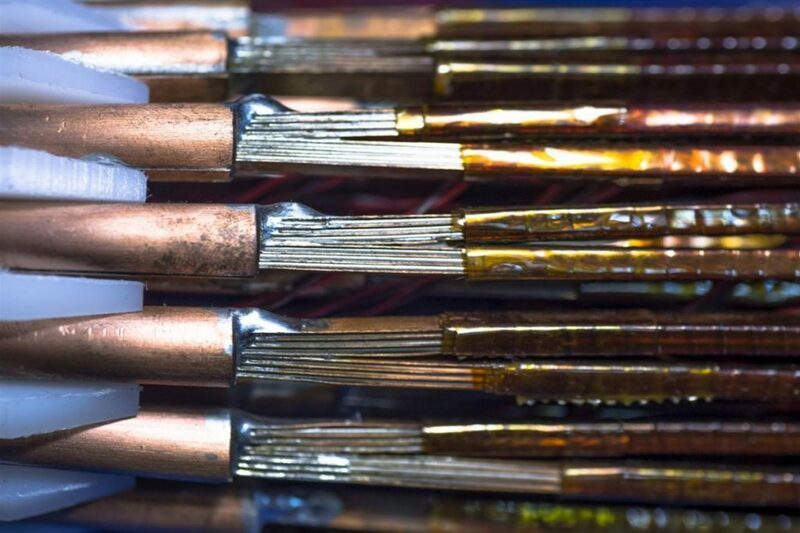 These are called low-Tc superconductors, and they include metals in element form such as mercury, aluminium and lead, and many inter-metallic compounds such as niobium-tin, niobium-titanium and niobium-germanium. The era of high-Tc superconductors began with the discovery of superconductivity in a barium-doped lanthanum-copper oxide ceramic compound in 1986. Its Tc was 35 K, the highest at the time. The discovery, by J. Georg Bednorz and Alex Müller, both researchers at IBM Zurich, won them the Nobel Prize for physics in 1987. The discovery that really opened the R&D floodgates was of superconductivity in an yttrium-barium-copper-oxide (YBCO) system, whose Tc was 93 K. Soon, scientists were investigating a wide variety of such systems, including bismuth- and mercury-based compounds. The prospect was exciting because they no longer needed liquid helium, which boiled at 4.2 K, to cool the new materials down. Liquid nitrogen, which is more readily available and easier to handle, would suffice. Till date, the highest superconducting Tc achieved, and confirmed, is 203 K, in 2015. However, this was not in a high-Tc cuprate system but in hydrogen-sulphide (H2S) subjected to very high pressure: about 1.5 million atmospheres. The highest Tc achieved in a cuprate material was in 1993 at 138 K, in a mercury-barium-calcium-copper-oxide system at atmospheric pressure. The Tc increased to 164 K when the pressure was increased to ~296,000 atmospheres. Although the high Tc achieved thus far is still way below room temperature, the hope has been that figuring out HTS will show the way to making RTS materials. Superconductivity is essentially a quantum phenomenon. While the mechanism of low-Tc superconductivity is very well understood according to BCS theory, we still don’t have a clear understanding of how HTS works over three decades after it was discovered – except that its mechanism is quite different from that in low-Tc materials. According to BCS theory, electrons that normally repel each are forced to form pairs in materials whose atomic lattice vibrates in a way to encourage this union. The effective force exerted by these vibrations is interpreted in the form of quasiparticles called phonons. The electron pairs formed by the phonon-mediated interaction are called Cooper pairs. As the material is cooled to below its Tc, all Cooper pairs settle down in an ordered coherent ground state and move through the conductor cooperatively – like a fluid – without scattering off of the lattice. The highest Tc achieved with phonon-mediated superconductivity at ambient pressure has been 39 K, in magnesium diboride, and under high pressure has been 203 K in H2S. In fact, BCS theory only requires that a potential for attraction between the electrons be present, not necessarily in the form of phonons. The theory also does not prohibit high Tc values per se. For example, in HTS, it is known that while electrons do form pairs, phonons are not involved. There have been many mechanisms proposed to explain the formation of these electron-pair bound states but the issue remains far from resolved, and the path to RTS is far from obvious. So attempts to achieve RTS have been driven mainly by plausibility arguments based on studies of materials and theories proposed for various non-metallic superconductors, including HTS. “The main problem with most of these [claims of RTS] is that superconductivity is observed in samples containing many different phases, and the superconducting fraction (if it exists at all) of these samples is usually very small. Thus, superconductivity may exist in these complex materials, but nobody knows what phase is responsible for its occurrence. In a few cases, however, the phase is known but superconductivity was observed exclusively on the surface” – whose conditions can differ significantly from those inside the bulk. So anyone that claims to have observed RTS is regarded with suspicion at first. In 1987, one such claim had come from India, from a research group led by A.V. Narlikar at the National Physical Laboratory, New Delhi, in a cuprate ceramic system. The Thapa-Pandey claim has drawn even more suspicion because the ingredients of their experiments – silver and gold – are not known to exhibit superconductivity in their elemental bulk form. In fact, very good conductors like copper, gold and silver do not become superconductors even when cooled down to milli-kelvin temperatures. They are all monovalent metals, i.e. their individual atoms possess one electron in their outer shell. This is what makes them very good conductors: this loosely held electron is given up easily to carry electric current across the metal. But for superconductivity, electron-pairs need to form through electron-phonon interactions. Copper, gold and silver have a tightly packed atomic structure that restrains lattice vibrations, resulting in very weak electron-phonon coupling, not enough to get the electrons to form Cooper pairs. There are two basic characteristics of the onset of superconductivity in a material below its Tc. One: the resistance drops sharply to zero. Two: the material becomes perfectly diamagnetic, which means a superconductor expels all external magnetic fields – provided they are not too large – from its interior. This is also known as the Meissner effect. In other words, the Meissner effect implies that the volume magnetic susceptibility – a measure of whether a material is attracted into or repelled out of a magnetic field – of a superconductor is -1. In their work, Thapa and Pandey report the following: Silver nanoparticles about 1 nm wide, prepared by “standard colloidal techniques”, were embedded in a gold matrix by a “separate second step” – indicated to be chemical sintering but not fully described – to produce silver-gold composite nanostructure globules of size 10-20 nm. These were cast both into thin films and pellets for the study. 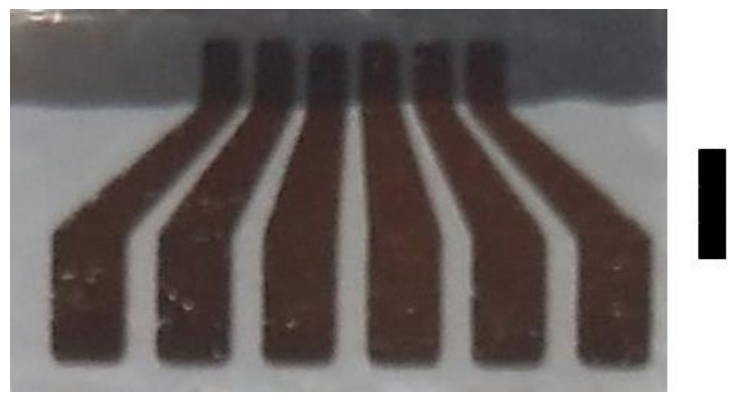 Their resistance was measured on a 25-nm-thick film on a glass substrate. As the sample was cooled, its resistance (only weakly dependent on the temperature) was found to drop sharply around 230-240 K to less than 100 micro-ohm, a value “limited by instrument characteristics”, according to their paper. Though the dimensions of the sample used are not given, this is stated to correspond to a resistivity of less than 0.1 nano-ohm-metre, which is two orders of magnitude less than the resistivity in normal bulk silver or gold. Pandey and Thapa estimate the Tc to be 236 K (-37.15º C) at zero magnetic field. They also found that – as expected for a superconducting state – the Tc decreased with increasing field up to 3 tesla (T). At higher fields, the superconductivity will be destroyed at some point depending on its robustness. 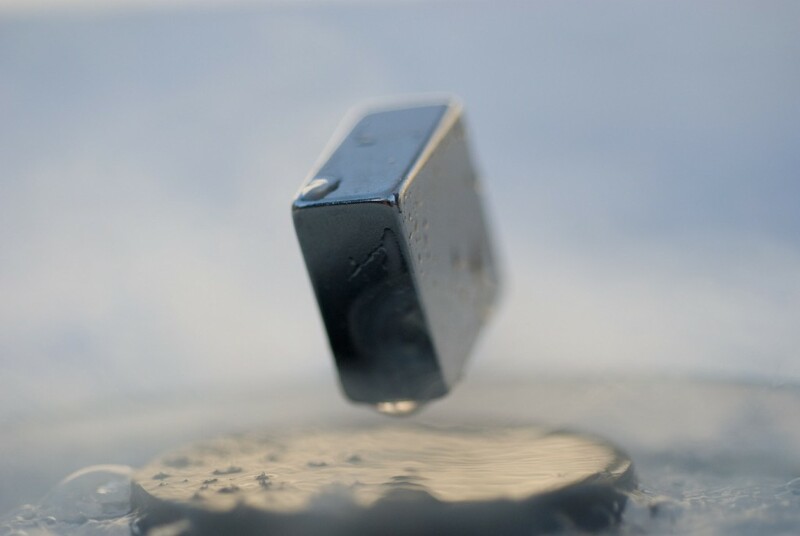 As for perfect diamagnetism, the second fundamental requirement for superconductivity: the pellets were used, whose susceptibility also dropped sharply at 234 K at about the same temperature at which the resistance dropped. The volume susceptibility, measured under what is known as a zero magnetic field cooling (ZFC), was found to be -0.056, far removed from the ideal value -1. The ZFC data essentially provides an upper limit on the volume fraction in the sample that is superconducting. So a value of -0.056 means only a maximum of 6% of the sample volume was superconducting. The authors attribute this low diamagnetism to imperfect sintering. The observed high value has been justified by comparing it with values obtained in superconducting lead nanoparticle pellets. From the magnitude of observed diamagnetism, the authors also infer that the value is consistent with a “granular superconductor of grain size 20 nm”, which they find to be in good agreement with nanostructure size estimation (mean value ~30 nm) from atomic force microscopy images. Just as in the resistance data, the Tc decreases with increasing applied magnetic field. Interestingly, while resistance measurements were made only up to 3 T, susceptibility measurements were made at up to 5 T.
Now, 235 K ‘is not room-temperature’ at all. In their arXiv preprint paper, Pandey and Thapa have only indicated the way RTS might have been achieved. What they find is if the “mole-fraction” of gold in the sample is reduced, the Tc increases. The resistance data of one such sample, whose method of preparation the authors intend to report elsewhere, is shown to drop sharply at around 320 K (46.85º C). This value is much higher than ambient temperature. The authors also found that, over a wide temperature window around room temperature, in a silver-gold film sample about 25 nm thick, with gold making up about 83% of its mass, the resistivity was about three orders of magnitude lower than the bulk resistivity of gold or silver. This film was also reported to be “significantly diamagnetic” (susceptibility of about -0.037). This has been interpreted as being consistent with RTS. 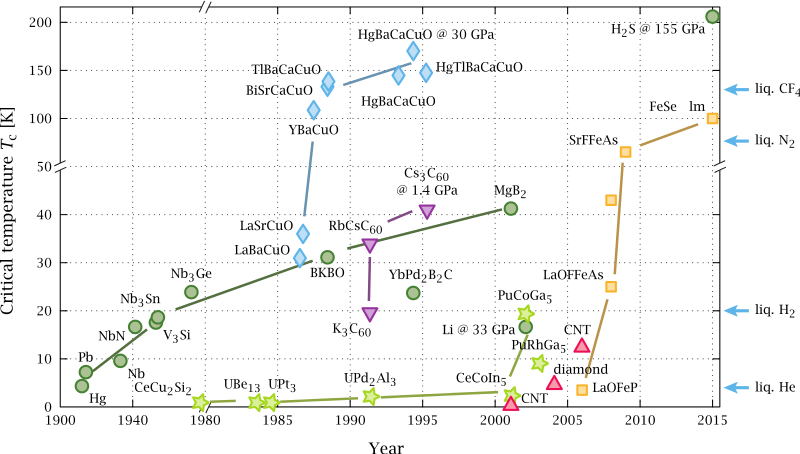 However, these are at best indicative of RTS, and not constitute demonstrative proof of it. Vijay B. Shenoy, a condensed matter theorist at the IISc whom the authors have thanked for discussions, remarked in a presentation he made at a recent meeting in Chandigarh that the resistance and susceptibility data reported by the duo “feels like superconductivity”. If the reported findings are confirmed, the mechanism for high-Tc superconductivity in the silver-gold nanostructures, which Shenoy called a “magic material”, must be of an altogether different kind about which theorists currently have little clue. 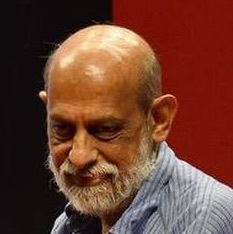 Irrespective of the underlying theory, Shenoy insisted that the experiment result was more important, and which he called “the most important one to come out of the IISc during my time.” Asked if he had any idea why this particular material was chosen, he replied in the negative. “Nor did I [give] any inputs to the paper even though I have been thanked. They must have had some reason to work on this material and I am sure once the paper is accepted for publication, they will be in a position to share more details,” Shenoy added. Pandey and Thapa were themselves unwilling to speak because their paper, which they have submitted to Nature, is under embargo. It is only once the peer review process is completed and the manuscript is accepted for publication that other details of the experiment will become available. For example: what prompted them to investigate a silver-gold composite nanomaterial and whether this was a serendipitous finding when they were actually investigating something else. So the following discussion is based entirely on a preprint copy of the paper and on conversations with scientists engaged in the field. At the Chandigarh meeting, Ramakrishnan apparently exhorted Indian scientists to get down to studying the Pandey-Thapa system in all its details lest what happened with the borocarbide superconductors be repeated. In 1993, physicists at the Tata Institute of Fundamental Research (TIFR), Mumbai, discovered a new class of superconductors called quaternary borocarbides. However, the discovery has been associated with American scientists because it was they – and not Indian scientists – who verified the result and fully characterised the material. “It is a very clean experiment and the data seems convincing,” according to Ganapathy Baskaran, a professor and distinguished fellow at the Institute of Mathematical Sciences, Chennai. “Even if it is granular superconductivity, the susceptibility data suggests that about 10% of the volume is superconducting, which is not small. “I am personally very excited because, based on a theoretical idea that I have developed, superconductivity in such systems is not surprising,” he added. His own insight into the physics underlying the Pandey-Thapa finding is interesting. “Monovalent metals such as copper, silver and gold are special among metals: they form what is called a simple half-filled energy band,” he explained. Energy bands occur in solids where the discrete quantum energy levels of individual atoms merge into bands that contain a large number of closely spaced energy levels. “According to my theory, half-filled bands, for various reasons, host strong tendencies for various kinds of [collective coherent behaviour of electrons].” One of these ‘orders’ is superconductivity, but because they are all fighting among themselves to become manifest, there is no clear winner. “In that sense, gold and silver are latent superconductors. 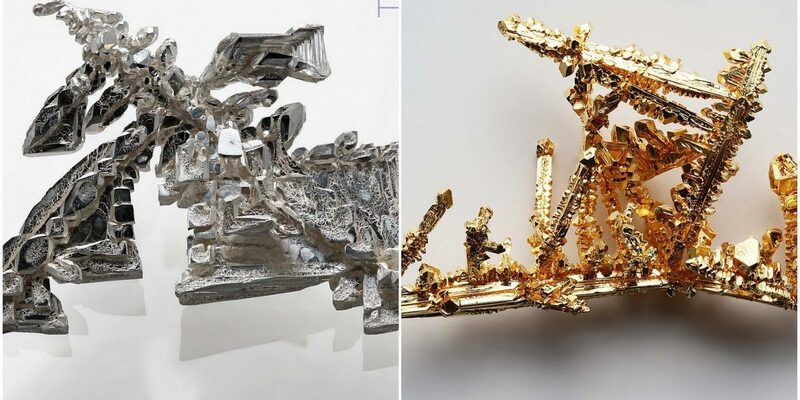 My proposition is that silver and gold are latent high-Tc superconductors,” and that specific kinds of “special perturbations” could bring out the superconductivity in them. 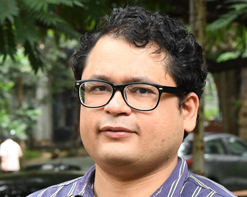 “That could be happening in the experiments by Pandey and Thapa through two major perturbations in their system: charge transfer from silver to gold” – which happens because of gold atoms’ stronger tendency to attract electrons towards themselves – “and the structural reorganisation at the nanoscale interfaces,” he said. Baskaran, Ramakrishnan and Shenoy are theorists, and their excitement is not shared by the experimentalists, who don’t find the details revealed in the arXiv paper to be convincing. “The data seems to be more like work in progress unless, of course, what they have submitted for publication includes more complete data that one is not aware of,” said a superconductivity experimentalist who wished to remain anonymous. 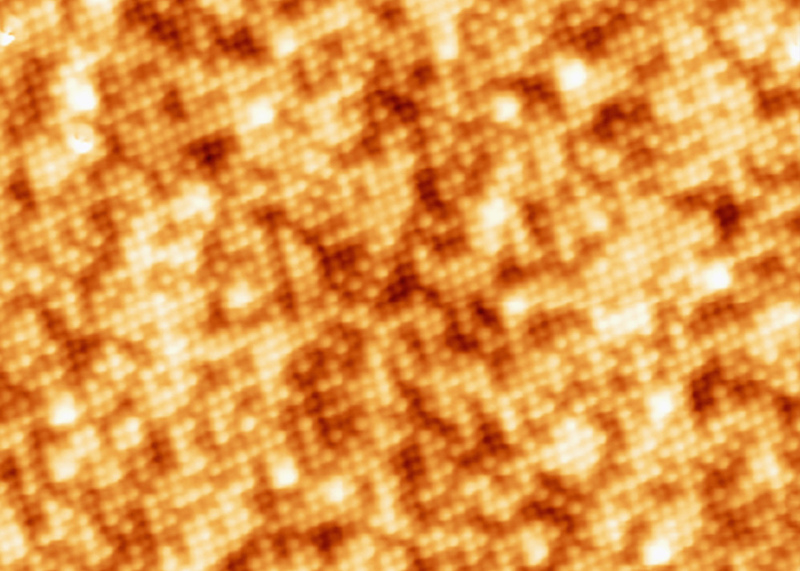 “Take, for instance, the title of the paper itself.” It’s ‘Evidence for Superconductivity at Ambient Temperature and Pressure in Nanostructures’. Pointing at the experimental conditions, he said, “But the data presented in the main paper is only for 236 K, quite far from ambient temperature. “The brief description of how the material is tuned for Tc at room-temperature is towards the end of the paper and some corresponding data are part of supplementary information and not part of the main paper,” he added. He also questioned the lack of field-cooling data – which is obtained when experimenters switch the small measuring field on first and then cool the sample down. This data should also be obtained to know the exact volume fraction that is superconducting. “The critical temperature versus applied magnetic field plot should go up to 8-9 T, not just up to 3 T. There are other issues as well, so I will reserve my judgement,” he concluded. The Pandey-Thapa preprint paper has not elicited any blog posts or other commentary thus far, which is somewhat surprising. The physics community itself – include that in India – waits in the meantime with bated breath for Nature’s verdict on their paper. If it is accepted for publication, the world will have to sit up and take notice. R. Ramachandran is a science writer.